Garmin International Inc., a unit of Garmin Ltd. the global leader in satellite navigation, announced the Oregon 550 and Oregon 550t touchscreen handheld GPS devices, integrating a 3.2 megapixel digital camera, which creates geotagged images, and a 3-axis compass into the popular series of intuitive touchscreen handhelds. The waterproof Oregon 550’s easy-to-use interface and versatile features make it the ideal solution for customers looking for a multipurpose GPS device. There’s no need to tote a separate camera in your pack or pocket as Oregon 550’s 3.2 megapixel autofocus digital camera with 4x digital zoom automatically geotags each photo with the location of where it was taken, allowing you to mark, remember and navigate back to that exact spot in the future. With this waterproof digital camera, you can take and view pictures in landscape or portrait orientation, and 850 MB of internal memory offers ample storage. These pictures can then be printed or stored and shared online, making every trip even more memorable. 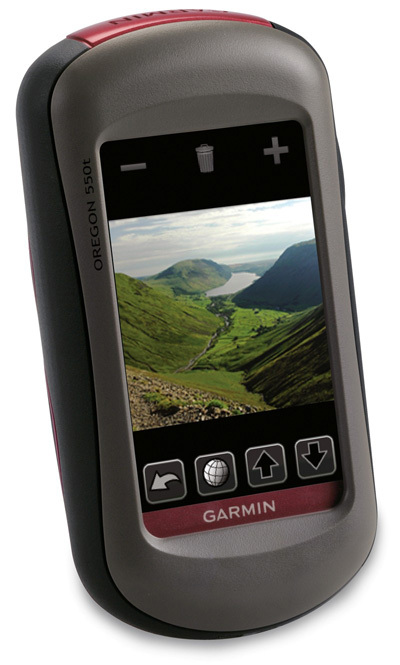 Once your Oregon 550 is connected via USB, you can use my.Garmin.com to detect Oregon’s photos, simplify the selection and uploading processes and then store those photos on Picasa, a popular online photo sharing community for friends and families around the world. 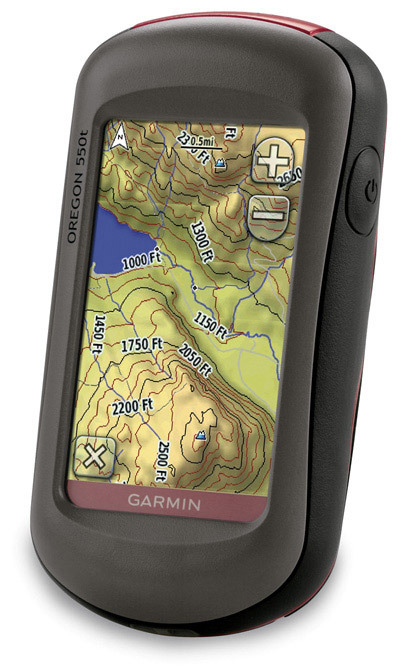 The built-in 3-axis compass and enhanced sunlight-readable touchscreen are two other key additions to the Oregon 550 and Oregon 550t (which features preloaded 100K topo maps for the entire U.S. in state-of-the-art 3D elevation perspective). The 3-axis tilt-compensated electronic compass shows your heading even when you’re standing still, without holding it level. And Oregon’s glove-friendly, color 3-inch touchscreen display is brighter and easier than ever to read and use in all conditions, responsive to the touch of your finger, yet resistant to the forces of nature. Weighing only 6.8 ounces, the Oregon 550 and Oregon 550t come with two precharged AA NiMH batteries. 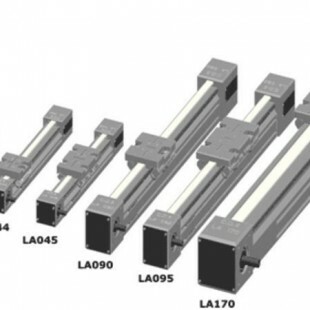 These batteries provide up to 16 hours of life on a single charge and don’t lose energy when not in use. The included battery charger saves you money and reduces waste as batteries get recharged and reused. Also in the box is a carabiner clip and USB cable for high-speed USB connections. A microSD card slot provides even more storage for photos, mapping and memory and allows you to view pictures from other devices with Oregon’s picture viewer. Highlighting its versatility, Oregon lets you customize five profiles – automotive, marine, recreation, fitness or geocaching – making the most useful features the easiest to access through shortcuts. And Oregon does the work of several devices, just by adding various accessories to suit your activity or optional MapSource® microSD cards preloaded with detailed maps. On the road: Optional City Navigator mapping provides detailed street maps, millions of preloaded points of interest and onscreen turn-by-turn directions to your destination, and an optional Auto Nav kit adds a suction mount and car charger. On a hunt or on a hike: Using a separate TOPO U.S. 24K DVD or microSD card brings you the highest level of topographic detail available, with maps comparable to 1:24,000 scale USGS maps, featuring terrain contours, topo elevations, summits, routable roads and trails, parks, coastlines, rivers, lakes and geographical points. On the water: Add BlueChart® g2 maps, which provide everything you need for a great day on the water, including depth contours, navaids and harbors. On the run or on a bike: Ideal for a trail workout, the lightweight Oregon is compatible with Garmin’s heart-rate monitors and speed/cadence sensors, and an optional handlebar mount makes it easy to track your speed, distance, elevation and location. And wherever you are, whatever you’re doing and whomever you’re with, you’ll always have Oregon 550’s built-in camera to capture the moment, record the location and share the memories. Oregon 550 and Oregon 550t are the latest breakthroughs from Garmin, which has spent 20 years using technology and innovation to enhance users’ lives, making Garmin a household name in the automotive, aviation, marine, wireless, outdoor and fitness industries. For more about features, pricing and availability, as well as information about Garmin’s other products and services, go to www.garmin.com, www.garmin.blogs.com and http://twitter.com/jakesjournal.